under the small umbrella: Are You Addicted? 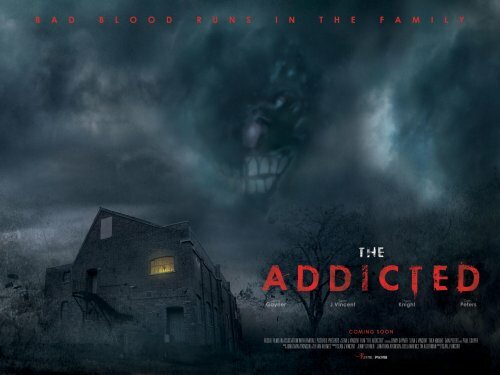 With a poster designed in a competition run by Empire Magazine, The Addicted actually gets a good looking poster. It's designed by Adam James Woodward. It was picked by the film's production staff from a great list of entries. This is the second time (That I'm aware of - Ed) a feature film’s actual artwork has been designed successfully from a competition.